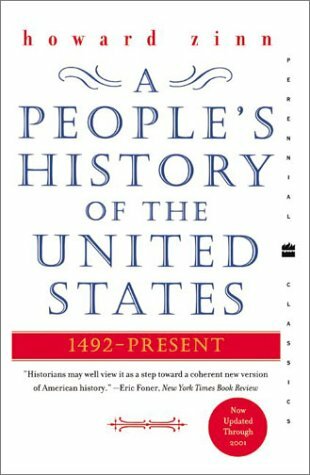 A parent in Chatham, New Jersey, is asking the local school district to remove excerpts of Howard Zinn’s A People’s History of the United States from the high school curriculum, claiming that the book encourages “one-way thinking” rather than critical thinking. During the public comment period at the most recent school board meeting on July 18, Libby Hilsenrath brought up her concerns over excerpts from Zinn’s alternate history text that are used to supplement the main textbook in advanced social studies classes. 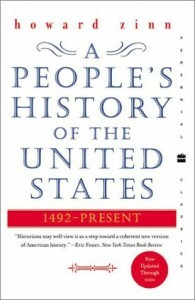 In particular, she cited the book’s contention that “the U.S. Constitution was not written by ‘We, the people,’ but a group of ‘50 privileged, white males whose class interests required strong central government.’” She also quoted Zinn’s ready admission that his book was “biased” in favor of popular movements, but neglected to mention the other half of the equation: his critique of most mainstream history texts as biased in favor of institutions. The goal is primarily to teach about perspective, and that textbooks themselves are not necessarily objective works. At least that’s the position of a number of historians – that just the mere historiography of a given period has value judgements that authors apply when they are working with the sources….So the goal with this book and others in all of the social studies courses at the high school is to teach kids how to decipher how authors are putting together sources and how narrative is being created. That’s done with all the works. While the use of the People’s History excerpts certainly seems to have support from the top, it’s unclear whether Hilsenrath has submitted a formal challenge which would trigger a review by a committee or the school board. In fact, the School District of the Chathams does not appear to have a formal challenge policy; the closest one that might apply in this case is the policy covering “Resource Materials,” which includes library books as well as supplemental classroom texts. That provision gives ultimate responsibility for “the selection and maintenance of all resource materials” to the superintendent alone. It does refer to a Policy 9130 regarding public complaints in general, but that policy number is absent from the district’s website. In any case, we will be watching for further developments on this story!